If you have read recent posts on this blog, you will have seen some snippets about a client that I have been lucky enough to work with who has recently successfully achieved her near impossible goal. I have attempted to share her story with you and I really don’t think I have done it justice. So I am delighted to say that Sandra has agreed to guest blog for me AND share her MOTIVATION tips. 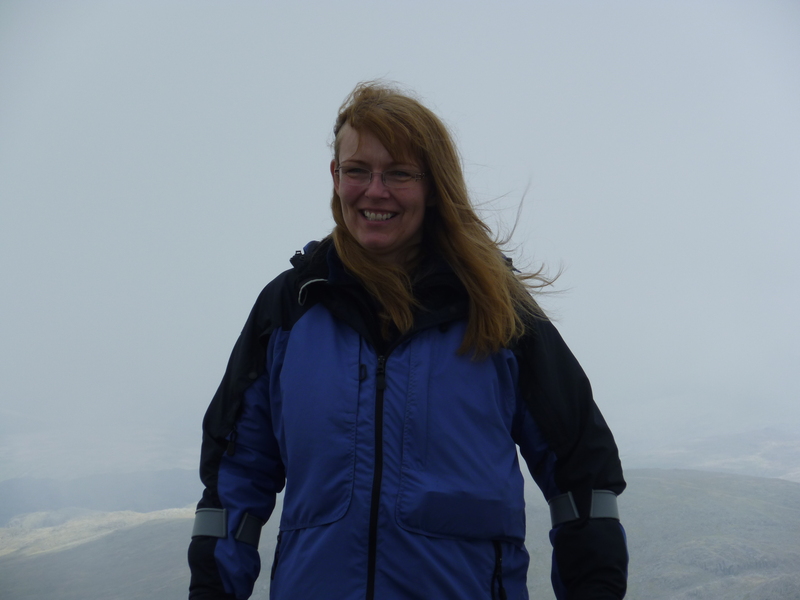 I have the honour of being asked to write a guest blog post for Carolyn on motivation, following my recent journey up a mountain. I’m no expert in this field, but I’m happy to share my journey and maybe, just maybe, something will inspire you to achieve your own goal too. I’d always been a bit of a fitness fanatic and a huge lover of the great outdoors. An ex-gymnast, fitness instructor and personal trainer I looked after my body and truly believed that by eating well and keeping fit my body would reward me well into my old age. Oh what a delusion! You can imagine my devastation when, just over 5 years ago, I acquired a disability affecting the use of my legs. Going to the shops became an expedition needing help, support, crutches and a wheelchair. I took the easy option and stayed home, isolating myself from the world in my own little bubble of safety. I basically gave up on life. In August 2012 I attended the Lake District Calvert Trust, a charity that challenges disability through outdoor adventure activities. I had low expectations, low confidence and low self-esteem. 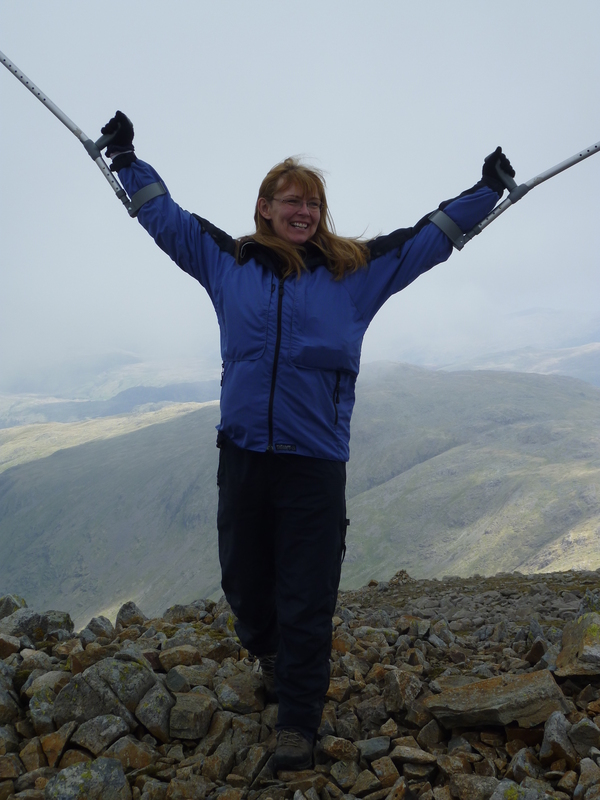 I told my instructor of my one regret of not having got around to summiting Great End (a mountain in the Lake District on the Scafell range) before my disability. He looked me in the eye, and said quite matter of factly “Don’t have regrets, go and do it then.” As the week progressed a spark inside me ignited, and over the following months that spark became a roaring fire of passion, hope and self-belief. I am proud to say that 9 months later I stood on top of that mountain, fulfilling a long-standing dream and raised nearly £2,500 for the charity the brought me back to me. M editate on your goal. Imagine how great it feels to have achieved it, what it looks like, feels like, smells like, sounds like. Doesn’t it just feel fantastic! Hold onto that feeling every single day of your journey. O bserve your goal and your journey from every angle so you are as prepared as you can be to overcome any obstacles. It’s ok to change your game plan, it’s the end result that’s important. T ell others. This makes the goal real. If anyone is negative, ignore them – that is their problem not yours. Surround yourself with positive people and ask for their experience and expertise to help you get where you want to be. V alue yourself, what you are doing and why you are doing it. Yes, you are worth it! A ccept where you are now, and identify what help or support you will need to get where you want to be. This will enable you to set realistic goals and targets. T hink outside the box. How could I get up a mountain when I cannot walk unaided and need to rest after a few steps? Let’s think in a different way. I can walk with assistance for a few steps and then need to rest. I can repeat that process over and over again. I can travel at 3.6 hours per mile. It will take me 3 days. I can do this if I camp in the mountains for 2 nights. I will ask people to help me, support me and carry my kit. Change your words, change your way of thinking and suddenly you will find a solution. E njoy your journey. To reach your goal you need passion. For me, failure was not an option. My passion and desire to achieve my goal was so strong it drove me on when exhaustion wanted me to stop and when the pain was screaming through my body. My passion of the great outdoors, being at one with Mother nature and standing in awe at the beauty of her artwork from the summit of a mountain is one I shall never forget. I am humbled by the help and support shown by my team who shared this journey with me. Sometimes a goal is just too big to achieve on your own. Ask for help, work on yourself, dream, believe and achieve.